We think Italiannies is Malaysia’s favourite place for Italian food. With rustic decor and generous dishes made for sharing, Italiannies has been on our tongues since 2004, when it first opened its doors to the public. 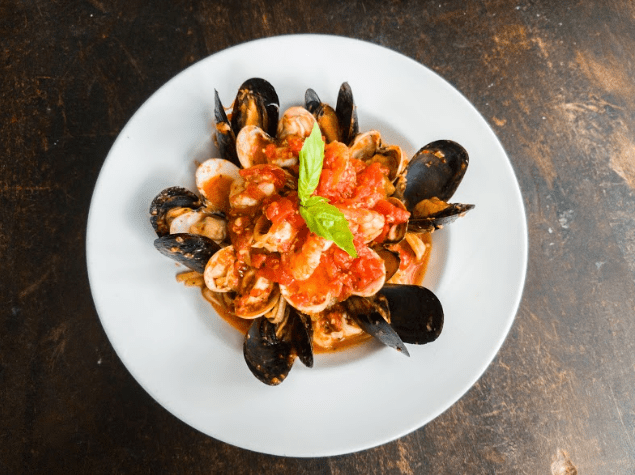 However, the biggest taste test for any Italian restaurant is when an actual Italian tastes its food, so for this food review we made sure to bring Annalisa, our CMO who is from South Italy – famous for its food and wine! We started our decadent lunch with three dishes: Lasagna a la Ravina, Seafood Cioppino and the Smoked Duck & Mango Pizza. Let’s start with my favourite dish of the day, which was the Seafood Cioppino. It is basically seafood sauteed in white wine and mixed in with linguine with marinara sauce. Sounds basic? It is super rich, delicious and definitely made for sharing! The fresh seafood married so well with the pasta and we loved every bit of it. 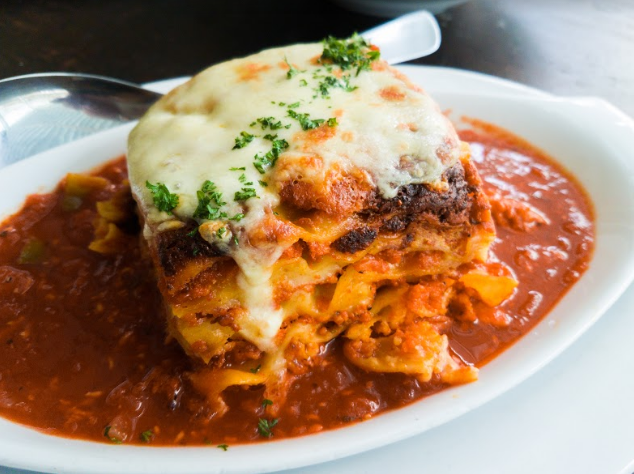 The Lasagna a la Ravina was your typical chicken lasagna: cheesy, meat-filled goodness oozing with fresh bolognese sauce, layered between soft al-dente lasagna sheets. It was really appetising and definitely worth a try! Annalisa told me it could rival the ones she got in South Italy so you know it’s authentically Italian. 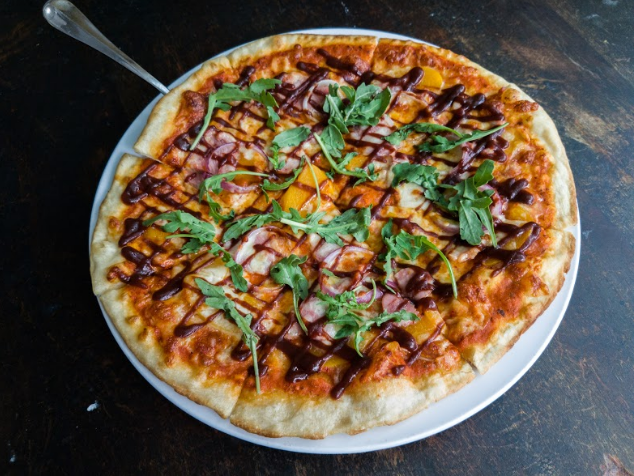 The Smoked Duck & Mango Pizza was something very unusual, especially for me, because I had never tried duck meat before. I was kind of sceptical about this pizza, because in my very food-noob mind, fruits never go well with savoury dishes (unless it’s mango chutney, of course). The pizza was actually very crispy and the toppings were first-class! Duck meat had a bit of a chew to it, but it went well with the crispy base. 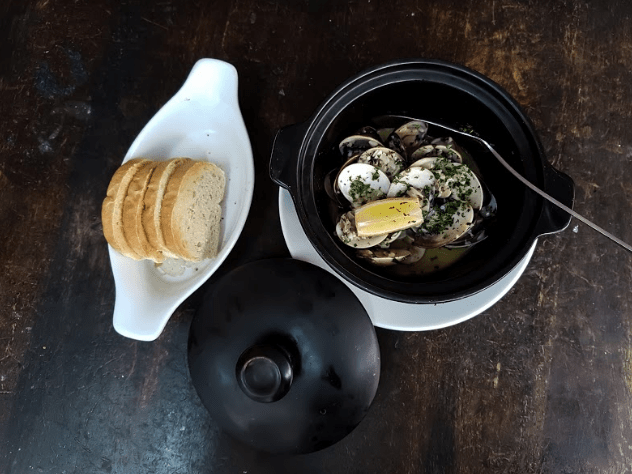 We were done with the three dishes in no time, but Kelvin Lee, Chaswood’s assistant marketing manager, insisted on presenting two more of his personal favourite dishes – the Fresh Herbs Clams and their heavenly Tiramisu. The clam dish was fresh-tasting, with the zesty lemon juice giving a nice kick to the dish. The dish was very satisfying and to be honest, I’d go back just to have this one day. Their Tiramisu deserves to be the talk of the town, though. 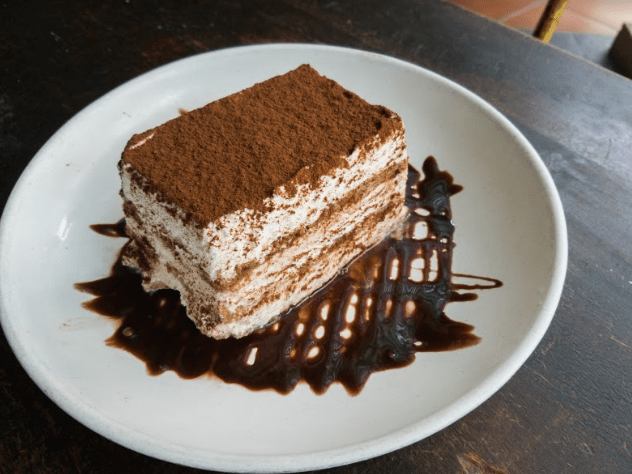 Layers of cream and mascarpone powdered with espresso and drizzled with chocolate sauce – definitely my idea of heaven! We ended the day on a sweet note, and Annalisa was very happy with the outcome so we take that as a stamp of approval! Address: Lot G75 & G7 Ground Floor Western Courtyard, The Curve, Jalan PJU 7/3, Mutiara Damansara, 47800 Petaling Jaya.